In the theater with the oldest history in Japan, "The new-age festival" on the theme of Tradition and Innovation in Kyoto will be held! 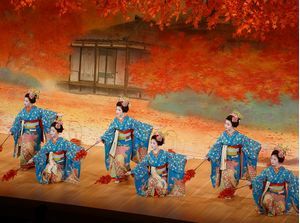 A “cooling waterfall” using real water, one of kabuki’s traditional staging techniques, will appear at the Minamiza theatre. You will be captivated by the fantastic Japanese-themed projection mapping onto the waterfall by NAKED Inc, which will show the beauty of Japan’s four changing seasons as well as a kaleidoscopic digital firework display. 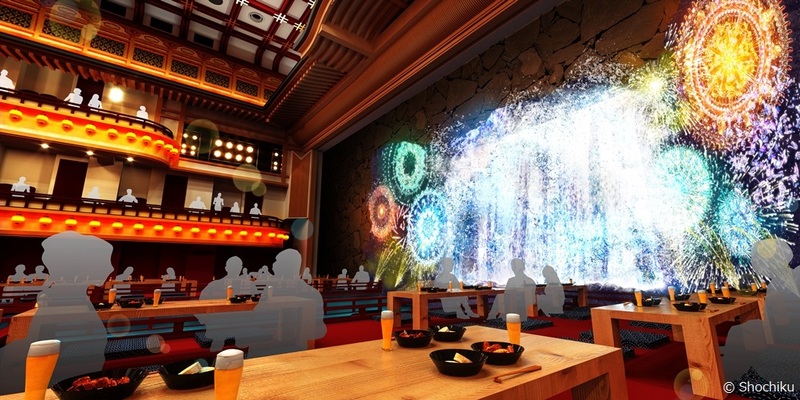 You will be able to enjoy a “Yuka”, a traditional Japanese summer terrace which will be created on either side of the river that uses real water from the waterfall, together with traditional fine dining, such as the local cuisine of Kyoto, popular restaurant dishes, and beverages by Suntory while watching the projection mapping onto the waterfall. 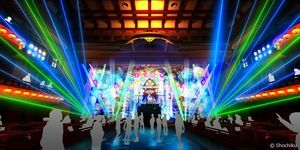 Furthermore, in the daytime during the “HIRUMATSURI”, you will be able to enjoy 4 interactive exhibitions. - Kabuki body painting using real kabuki cosmetics.